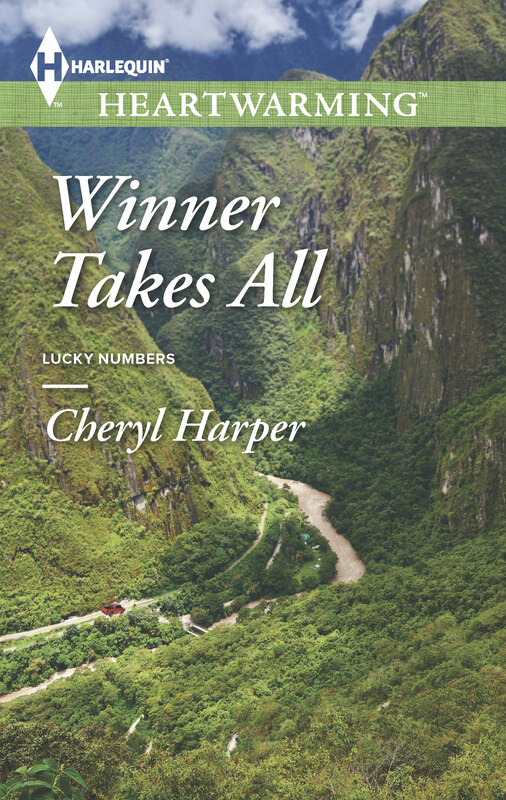 WINNER TAKES ALL (avail June 1)! Reviews are coming in and they are mixed, as reviews often are. To see what other readers think, click the Goodreads link below. Also, I’m going to run a contest here. Leave me a comment to let me know what you’d do if you suddenly had millions for a chance to win a signed copy. On Sunday, I’ll pick a winner here! On Thursday, I have a different contest running on Facebook (http://www.facebook.com/CherylHarperRomance) so you’ll have another chance to win if you head over there and comment! Come back tomorrow for an EXCLUSIVE EXCERPT! Stephanie Yates isn’t really sure she’s ready to leave her hometown and see the world, but there’s not much she can do about it now: her friends have sent her on her way! And her first stop is a village in the breathtaking mountains of Peru, where Daniel Lincoln, her lifelong crush, is setting up medical clinics. If I suddenly won millions I would put a lot away to ensure I’d be taken care of in my later years. My two indulgences would be an upscale rail vacation and a class A RV. Other than that I’d help people who really need it. I always wanted to build a beautiful retirement home for seniors to live out their days. Something to honor them for the knowledge and wisdom they’ve imparted, and not see them wind up in some smelly, drab hospital setting type facility. I loved the book can’t wait to read the next. It’s been awhile since I read Harlequin stories, but I will read more in the future. I definitely like this comment! I wish I had an option to hit LOVELOVELOVE for this comment, too!